Twinkle Khanna Wants THIS Picture to be ‘Propped up’ at Her ‘Prayer Meeting’ And Fans Can’t Stop Laughing! 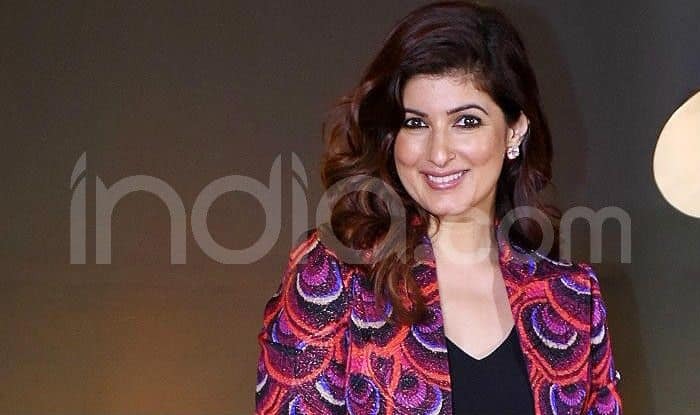 Never the one to leave an opportunity to crack a weird joke or state politically incorrect answers, Bollywood actress-turned-author, Twinkle Khanna, has once again managed to make fans roll over in laughter. Warning them to ‘keep out’, Twinkle’s latest post on Instagram is all you need to light up as the sluggish day proceeds. Seen baring her teeth vampire-like and squinting her eyes the evil way, Twinkle stood before a “Danger. Keep out” signboard, as she clawed in the direction of the lens. She captioned the monochromic picture as, “Hope you all appreciate my new photograph. It is a rare moment where the photographer has captured the essence of my soul so to speak. I hope that when I die, this is the picture they will enlarge, put into a fancy frame, throw rose garlands around and prop up at my prayer meeting:) #KeepOut” (sic). Characterised with satire as her dominating trait, the gorgeous writer sure knows how to get her fans in splits of laughter even if it means aiming the joke at herself. However, this is not the first time that the writer has bowled us with her wit and humour. Earlier, during one of his promotions for Kesari, lead star Akshay Kumar attempted a stunt of setting himself on fire didn’t go down too well with Twinkle, who promised to kill him once he came back home after surviving the fire.